The German language has a consistently-logical approach to novelty. In need of a new word, Germans simply describe what it is or does in a compound noun. A boat that sails under the sea? Call it an unterseeboot. Germans being nothing if not meticulous, every U-boat is known by its number in the order of construction for her navy. At seventeen minutes before four o’clock in the afternoon today, Captain Otto Hersing gives the order to fire one of his ship’s six torpedoes. Two minutes later, the HMS Pathfinder sees the wake of approaching doom, and is still taking evasive action moments later when the torpedo detonates just below her bridge. The explosion reaches the ship’s ammunition propellant and blows her front half off, instantly killing the men in those decks. Sailors below the waterline never even have a chance to reach safety. Only eighteen men survive, floating in a grisly red tide of shredded bodies. 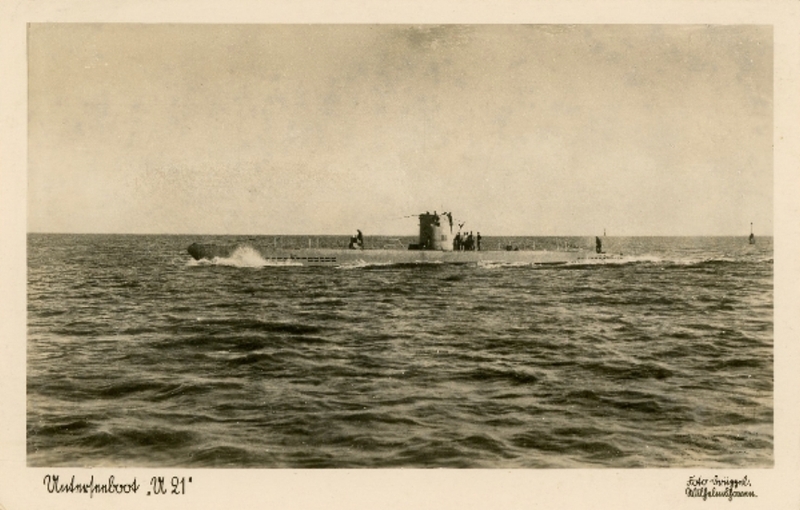 Although it is the first time that a submarine has torpedoed a warship, it is not the first time that a motorized torpedo has been used to sink a boat. That honor belongs to Russia, which claimed a Turkish steamer in 1878 by using a fast, motorized boat to fire a self-propelled torpedo. 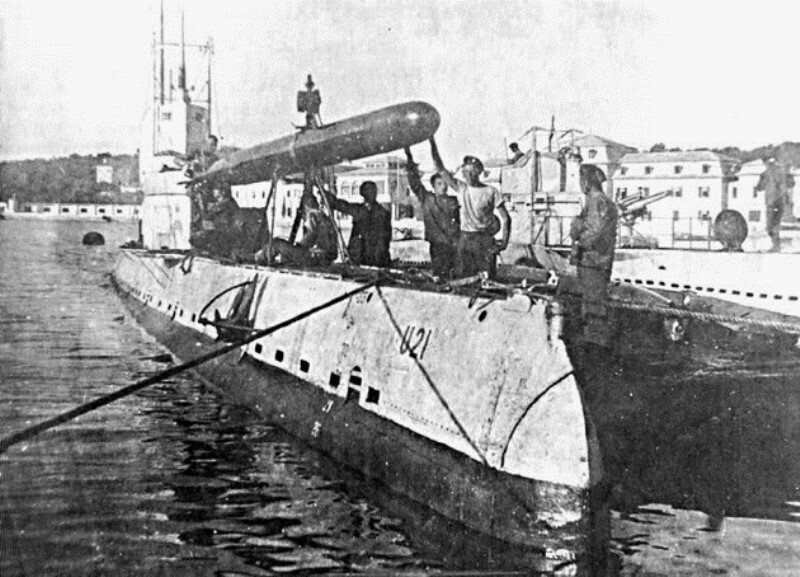 Nor is it the first time a submerged submarine has fired a torpedo — that honor belongs to the Ottoman ship Abdul Hamid in 1888. In fact, motorized torpedoes have been used by surface ships for decades. The ‘torpedo boat’ was an instant hit with navies around the world, sparking rapid development that soon led to the need for ships small and agile enough to deal with them. 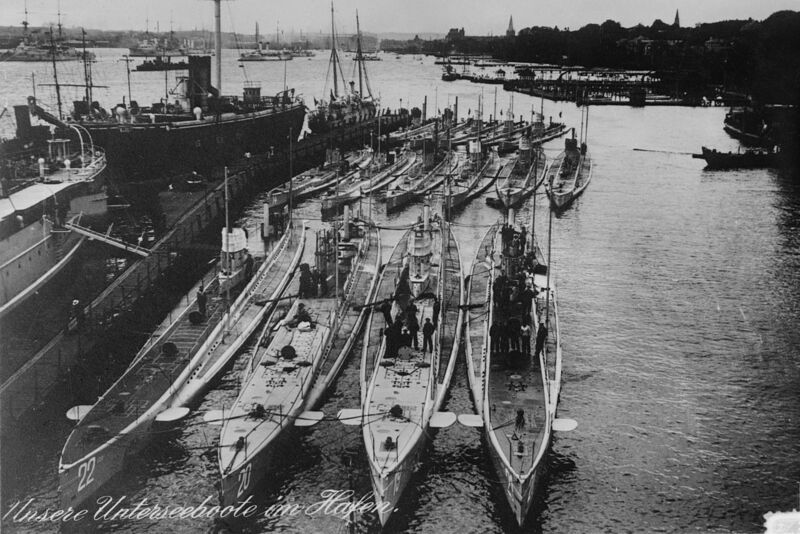 ‘Torpedo boat destroyers’ has been shortened to ‘destroyers’ since 1914, and they are also very useful for submarine-hunting. Indeed, the hapless cruiser Pathfinder is on its way back from escorting destroyers out to hunt for German submarines when she is sunk by U-21. 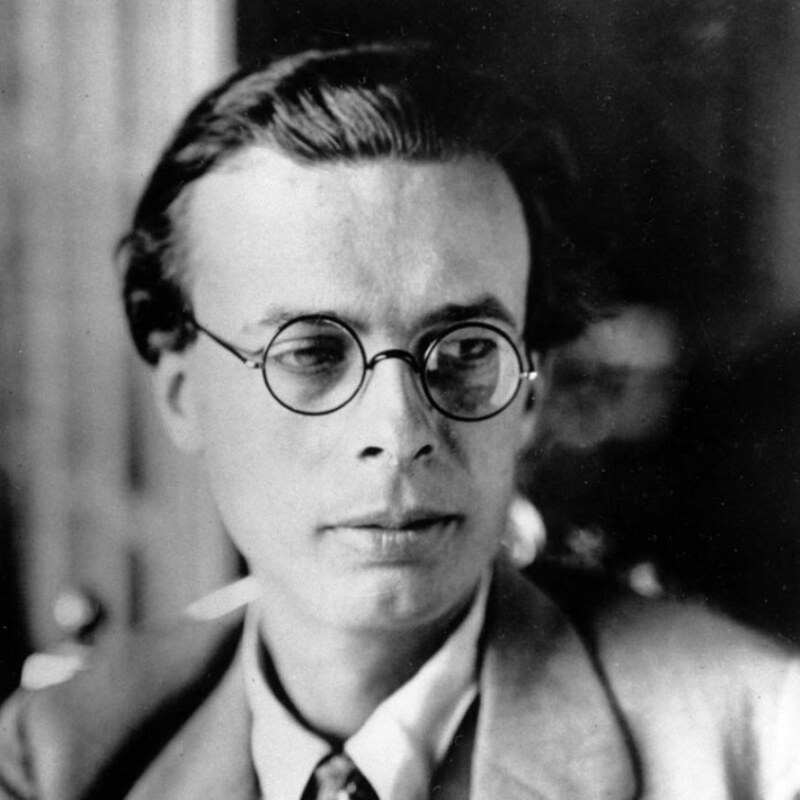 Future science fiction writer Aldous Huxley witnesses the blast from the shore. Penning a letter to his father later, he describes the horrors of the scene as reported by the rescuers. The experience made a deep impression, for Huxley’s writings are decidedly pacifist. His novel Brave New World, published two decades later, is the rare dystopian vision without apparent armed conflict of any kind. In Huxley’s future world, hedonism and a crass, materialistic cacophony have replaced violence with excess, and constant stimulation through technology has deprived mankind of the depth of feeling necessary to make war. A student whose partial blindness in one eye prevents him from serving in uniform, Huxley’s nation is engaged in a war of mass production. Submarines are a perfect example of the promise and peril inherent in industrial-age warfare: far smaller and cheaper than battleships, they are an asymmetrical weapons platform that uses standardized, i.e. mass-produced, torpedoes; both torpedo and submarine depend on highly advanced chemical engineering for batteries, fuel, and crew life support. Germany’s technological edge in submarine construction is not a matter of better design or machining, but a product of German dominance of the chemical sciences in the first thirty years of the 21st Century, claiming almost half the Nobel Prizes awarded for the discipline in those decades. For U-21, it is the beginning of an eventful career. She survives the war only to explode in an accident while being turned over to the victorious British fleet, victim of an inexperienced crew driving a complex, dangerous, and worn-out machine. 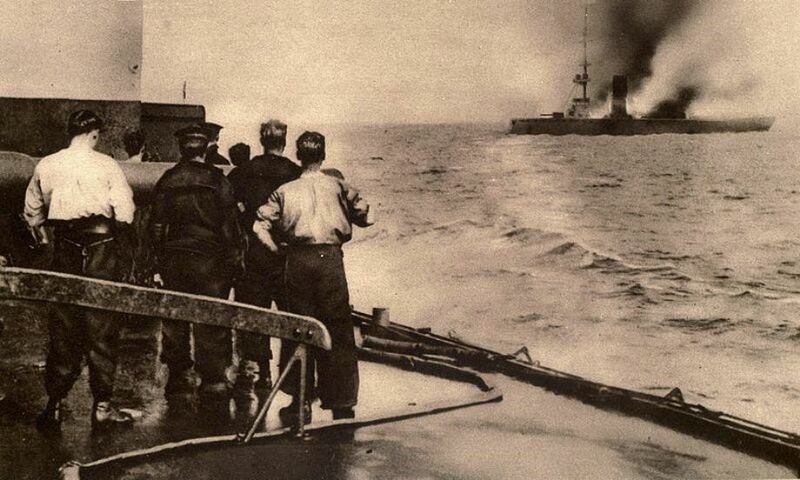 All sides use submarines in this war; in fact, the British navy used them eight days ago in the Battle of Heligoland Bight, though they were not a factor. 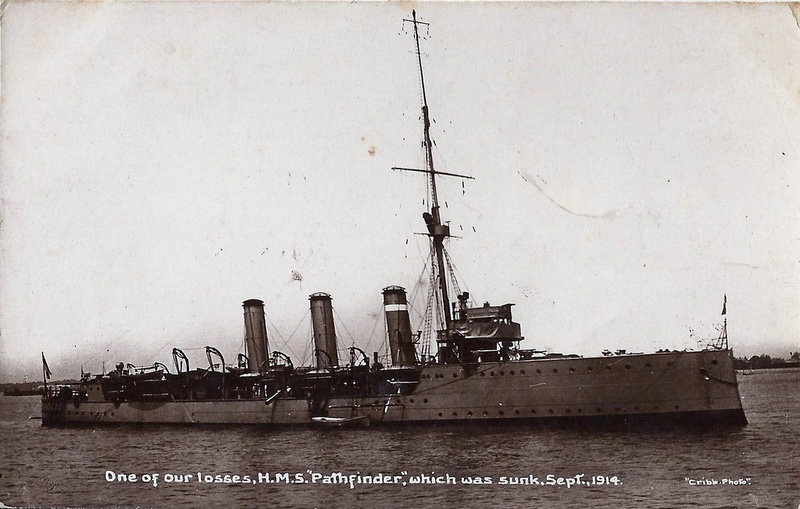 Just eight days from now, HMS E-9 becomes the first British submarine to sink a German ship; like the Pathfinder, the Hela is a cruiser supporting destroyers, but unlike their British colleagues only two German sailors drown. As with the British navy’s shells, its torpedoes have worse fusing and less chemical explosive power than its engineers and admirals believe. It is a harbinger of things to come. 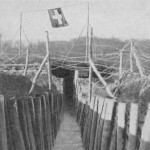 Sailing in the HMS Dreadnought, the ship which lent its name to the new class of battleships, Lieutenant Geoffrey Harper writes of his disdain for submarines — an attitude common to British sailors floating in their grand, and hideously expensive, battlewagons which could be turned into tombs with a single torpedo. I always had a feeling against submarines and nothing would induce me to go in for them because I always thought they were not exactly the Navy, and now I have become quite certain. […] It is rotten and underhand and like stabbing a man in the back. […] I am not the only one who is against submarine warfare, I come across people everywhere whose general opinion is: It’s not fair, I don’t like it. Of course our submarines are as much to blame as the enemy’s. Anyone, of any nationality, who serves in a submarine is not playing the game. Such tripe is to be expected of fossilized warrior-classes, but his attitude was shared by most Britons during the war. Even though U-boat commanders strictly adhere to the ‘Cruiser rules,’ a convention of sea war requiring them to ensure the safety of civilian crews and passengers, submariners can expect no quarter from surface ships of the British navy. 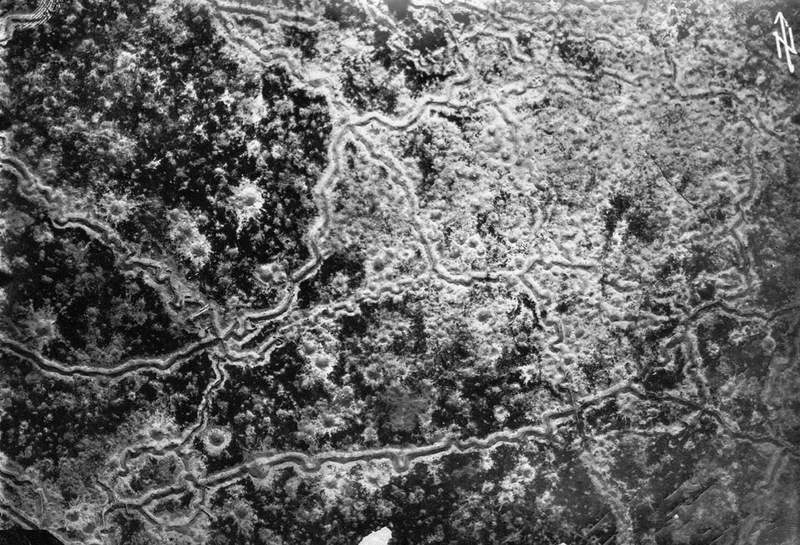 The risks incurred by observing the rules will lead to policy changes in Berlin that loosen restrictions, allowing them to sink civilian ships without warning. The eventual decision to meet the British blockade with a U-boat blockade has fateful results, forcing an exasperated Woodrow Wilson to ask the United States Congress for a declaration of war.